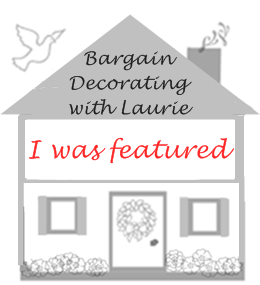 BARGAIN DECORATING WITH LAURIE: IT’S TIME TO PAR-TAY! YIPPEE!!! ANOTHER PARTY! Marty at A Stroll Through Life is having a Cloche Party On February 19th!! Blogville is just full of party animals! Laurie you give a great party. I'm having so much fun!! I'm feeling the love! Wow Laurie, this post must have taken you AGES to do-it is spectacular! Thanks so much for hosting this fun party. 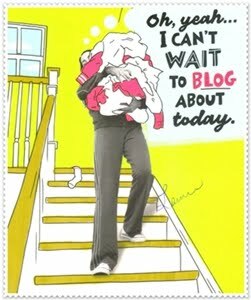 I can't wait to see how everyone in blog-land celebrates Valentine's Day! Oh Laurie, your decorations are so much fun! I especially love that little girl with the red felt skirt. You're the hostess, so you can have the first dance with Johnny Depp, but I call dibs on the next dance! Hi Laurie - I'm all linked up and ready to go!! Laurie, your are so fun! I love your Valentines giving the intro to the party. How cute. I am so glad you kept Johnny around for the party I think he will be a popular guest! Laurie, how much fun is this???? I love it. Your blog looks so festive. Thanks ever so much for hosting. Laurie! Thank you for hosting this fun party! You really know how to make people smile. I bet a party at your house is the BOMB! I really like all your goodies. You really have a great Valentine collection!! Hope you can relax now and enjoy the party!! I think my faux food post fits in nicely with this party. Your posts always have such wonderful eye candy, and this is no exception. LOL! Laurie, you crack me up! I will have to come up with something, because I want to be part of this party. Laurie-I rushed home so I would not miss a minute of THE party! I love it and I know that takes a lot of work! Those little vintage valentines are the best--I don't think they make anything nearly that cute any more. The newspaper--HOW did you ever do that :) Your brain has been overdrive! Thanks for having such a fun party--off to mingle :)ps--Happy Valentine's Day to someone with one of the biggest hearts I know of! Happy Valentine's Day, Laurie! Thanks so much for hosting the party! I am so excited for the party!! Love Valentine's Day! Yeeeehawwww!!! It's here...it's finally here...your Valentine Party!!! My dear friend...what a pleasure to attend and participate in your awesome Valentine Party!!! I am really looking forward to meeting all the guests, etc! Now...as for your fabulous decorations...I must tell you that you have, once again, outdone yourself, my friend!!! I love, love, LOVE all of your vintage Valentines!!! I had a blast reading through your post and checking out the pretty cards!!! Girlfriend, I just adore your little 50's girl! She's just darling with her little blonde ponytail and red felt full circle skirt! Hehe...it reminds me of the very first school dance that I went to in 7th grade...and it was a Valentine dance! My dear sweet Grandma made a red skirt (full circle) for me...just like that one! She appliqued little white hearts all around the bottom of it! It was soooo cute! I also had the black and white saddle oxfords to go with it! Hehe! That would have been way back in the olden days...1966! Hehe! Ohhh shoot, I've gotten sidetracked! Ooops!!! Anyway, I also wanted to tell you that I just love that pretty Victorian fan too! Love, love, LOVE your new Valentine pretties...all the little pillows and the icecream tassle! My friend, I always love coming to your house...especially during the holidays! You're the best!!! Thank you so much for throwing this fabulous party for us...it's such a pleasure and a real treat!!! Hi Most Wonderful Hostess Laurie! Oh, what a fantastic party! 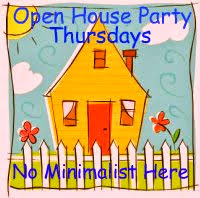 You thought of everything and invited some of the sweetest little folks. Food, visions and partiness! Thanks for having me. What a fabulous post. You put so much time and effort into it. We need to give you an award. I am so impressed. Happy Valentine's Day! What a wonderful job you did for this party!!! It is obvious you are not only very computer savvy - but you are extremely creative also. Yes, the jewelery is mine - nothing of value, and 2 of them I made. Thanks so much for hosting this party. Happy Valentine's Day! Hi Laurie, I'm ready for a great Par-tay!!! You have really outdone yourself! Great valentines! I am so excited to be here at your wonderful party! You are the best hostess...I always feel so welcome here;)! I wish I had half of your imagination...your post is soooo darling! You definitely know how to celebrate Valentine's Day! Your decorations are gorgeous! I am off to mingle with the other guests...thank you so much for having me! Hey, Laurie, in my post just prior to the Valentine Party post, I have a picture of the Geek Squad guy just for you. Laurie, Thank you for hosting such a cute blogger's event! Your post is so cute...love all the cards. Everytime I read one of your posts, I think how much time you must put into them. Awesome job and I love the little stories you tell! 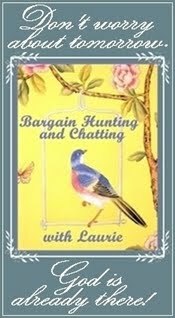 Hi Laurie, I am a friend of Kathleen's and she invited me to your fabulous party. What a hoot you are! You have been a busy hostess, and what a Par-Tay! I love all your vintage Valentine's cards and the captions. This was fun! Happy Valentine's Day to you. laurie, how cute! love your cartoons and laughed out loud! I love it, Laurie! And I love that I made it! I hope you enjoy my contribution as I sure did yours! You sure know how to throw a party! Hugs! ~WOW! Laurie what a fabulous and festive Valentines Day Party you have thrown for us. I just love it! Your decorations are precious! Love the vintage touch and the pretty cupcakes. Adorable! I wouldn't have missed this one for the world. My postings got all out of whack this month...Sigh. I should have waited and posted my tablescape tonight. Come by and enter my silver giveaway if you have a moment. It's a beauty! Laurie, I just knew you would have a fabulous party for all of us. You must have worked on this one for weeks. What a fun idea! I love all the vintage valentines. Makes me wish I had held on to some through the years. I'm pretty vintage myself! Happy Valentine's Day! ~ You're a Sweetheart!!! You throw the bestest of parties! a trip to europe? oooo la la! WOW...when you say you are having a party..YOU ARE HAVING A PARTY. This is too cute, Laurie...just fabulous and sooo cute. Lots of work but I know you had such fun!! hugs and thanks for the great time.. If you're going to have a party, you had best decorate and you sure did!!!! You sure know how to throw a party. 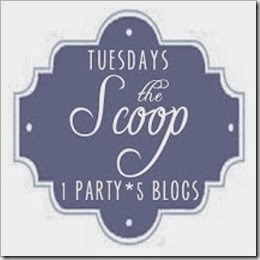 found your lovely blog and party from Shirley!! What lovely cards and decorations! I enjoyed my visit so very much! You are a fabulous party hostess!! Thanks so much for hosting this wonderful party! Love your post - very creative and imaginative! Happy V's day! You must be exhausted! Don't worry, I will help you clean up when everyone leaves! :0 It won't take a minute..
You are so funny..love all your precious vintage Valentine's! Thanks so much for hosting this great party. I will have to get up early to go through all the posts! Hi Laurie, What a great party!! What cute vintage valentines...and I love what you did with them. You are very creative and clever! Thanks for posting about my tassel...much appreciated! Your tablescape was beautiful btw. Love the blues, whites and golds together. Loved looking at all of your Valentine's decor. Would love to see your mantel up close. Love those pillows! You're going to love the faux cupcakes Pier 1 has for spring. They are in pastels and have bunnies and chicks on top. They have your name all over them! LOL! Happy Valentine's day! Thanks for sharing and hosting a fun party! You are just too cute, darlin'! I love what you have done with the place! Thanks for having such a fabulous party. I'll try to bring something special for next time. I HEART your Valentine's Day designs, Laurie. Hope you have a wonderful weekend! Thanks for hosting such a great Valentine's Party, and for your sweet comments. I actually did not make the heart topiary on my mantle. I bought that from Michael's and added a new ribbon. I've used the cookie cutter idea for a friend of mine wedding shower, and it was a hit. A nice party favor. Use the idea whenever you would like. Laurie, For a first-time hostess, you sure know how to throw a Blog Party. You've worked on these decorations, and how lovely they turned out. Have a great time! I'm having so much fun at your party, visiting with all your friends. I'm finding out there are some very talented and amazing ladies out there in Blogland. I love all your valentines--you are very good at this. Thanks for inviting me. Oh my goodness Laurie! Your Valentine post is amazing. I am just smiling at all the wonderful images. Oh, Laurie, I can feel all the sweetness in the lovely Post! What a fun Time you made for this party! I adore all the vintage cards! Happy Valentines! 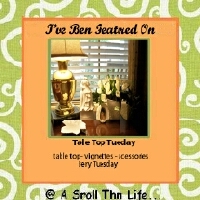 so glad i found your blog, what fun....and interesting pictures etc. all your pieces are so awesome! Thanks for hostessing. Just absolutely gorgeous, and such a big bright happy site on a gloomy gray day. I don't have a decorating blog, but thanks for sharing your talent with us. Your fun and creative post and your party could not have come at a better time to make everyone so happy during this season of Love. I can't wait to read all the posts over this weekend. Happy Valentine's day. I brought a bottle of pink champagne, a huge box of Belgian chocolate, a Canadian Tenors CD and 36 red tulips. Knock knock, let me in please? i just found out about your par-tay from common ground...i'm in...i love a good party! love all your images! FUN! Oh my goodness you have so much excitement going on at your place this week..beautiful. I just love your cards and your good humour and fun getting all this party to a great start. I've had fun at this visit. You have quite a Mr. Linky list...I will visit. Happy Valentine's day and weekend. I really enjoyed reading all the cute captions and seeing all the Valentine pretties! You had quite a party!! Thanks for letting me visit. 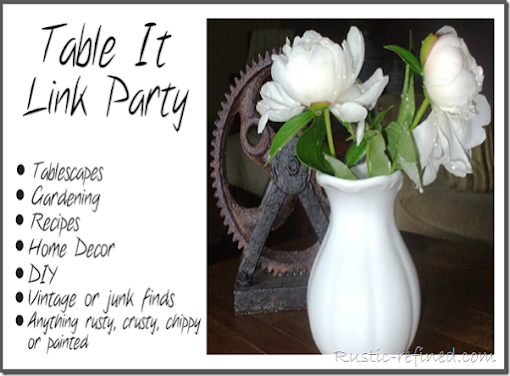 . .
Laurie, You sure do know how to throw one heck of a great blog party! Your banner is fab, your pictures are awesome and all the Valentine decorations you are showing are so sweet and pretty! I KNEW you were going to go all out, with the way you LOVE RED!!! Your decorations & darling vintage cards are just wonderful. Now, I'll be up past midnight, visiting all the other party goers. I'm no.92 on Mr Linky's list and you were worried that no one would come to your party. It's fabulous and I just love all the work you have done, especially the newspaper and front page, "I say". I bet your actually having a huge party as well, I wish I could be there with you and all our loved ones. But this is such a lovely way to spend our Valentine's day together. What a wonderful fun party you are giving! I'm a little late, but I'm here now! Thanks for the party invitation! Wonderful , fun party ! I'm very late, but it's still before midnite . Looks like you had a lot of fun putting this together!! What a wonderful party. I was setting up my sister Lynne's etsy shop and blog and by the time I wrote my Valentine's Day post Mr. Linky was closed. I can't wait to visit all of the people on your party list. Oh Laurie....you are a KICK! Hilarious! I loved seeing the vintage Valentines too....They used to be so sweet, didn't they? Now they're just stinking expensive.....I couldn't believe some of them were six dollars! YIKES! That was quite a party! I'll have to try to make it sooner next year. Thanks for hosting such a fun party! Your banner is so much fun as is your post (I know it must have taken you some time to put it all together). I need a good email address from the Arkansas Bloggers participants so that I can notify everyone easily. Also, please link up to follow so that you will receive pertinent messages. I promise not to bug you! 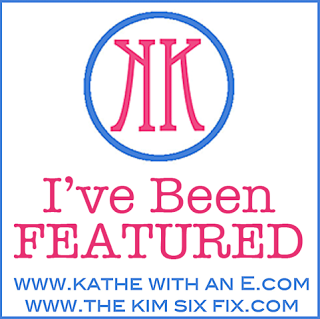 Message from Kathy about the Ark Bloggers logo and blog page. Please check it out and let us know what you think. You might want to pick up the new code for the logo. It looks much better than the other one. Here’s the html code for the logo. 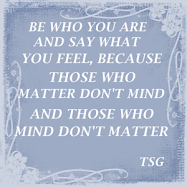 I resized it to 220 pixels, and then uploaded it to PhotoBucket. That size seems to work. Letting PhotoBucket resize it seems to make the image less crisp, so this should work. BLOGGER WON'T LET ME PAST IN THE HTML CODE FOR THE BADGE. YOU CAN PICK THAT UP FROM MY BLOG. You might want to go look at the test blog to see what you think of the background I’ve been working on. 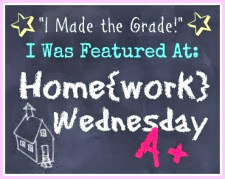 If you like it, I’ll give you instructions for putting the header and the background on the blog. What a great party! Your valentines are so clever! Love them! Laurie - I finally made it!!! You really know how to throw an event, it may take me a week to get to all the links! Loved seeing all your wonderful valentines!! You did a great job hosting this party!! THanks for all the fun! So next year we can have the 2nd annual Valentines gig- yes? You had an awesome party! I wish I could have participated but was out of town. However...I am having fun going through some of the postings. It might be until Christmas before I get to them all...but congrats on a great success! Your vintage valentine collection is the best!!! 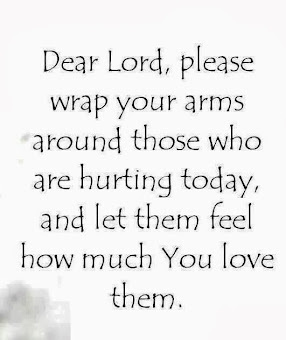 Take care...hope you get to read this!! LOL! Hugs!